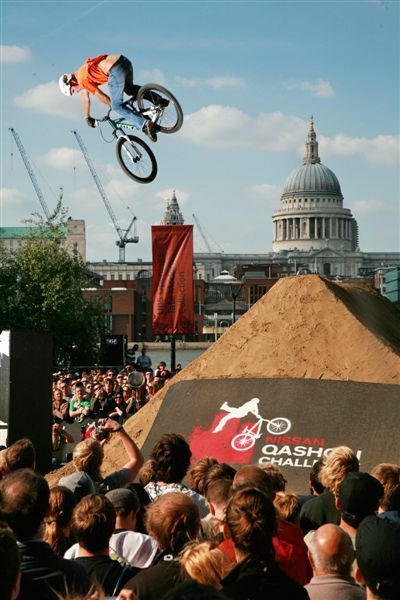 The 2008 Nissan Qashqai Challenge is in the books with plenty of surprises at the grand final to shake up the overall standings. The local boys stole the show in London, firing up the 50,000 spectators right in front of Tate Modern, one of the nation’s most popular art galleries. Colchester’s Sam Pilgrim took the win for the biggest result of his career, and Manchester’s Lance McDermott’s consistency scored him the overall title and the sport’s largest cash purse! Übersicht über das Spektakel. Mal ein etwas anderer Austragungsort. A sporadic head wind picked up during the qualifying and affected some of the results. 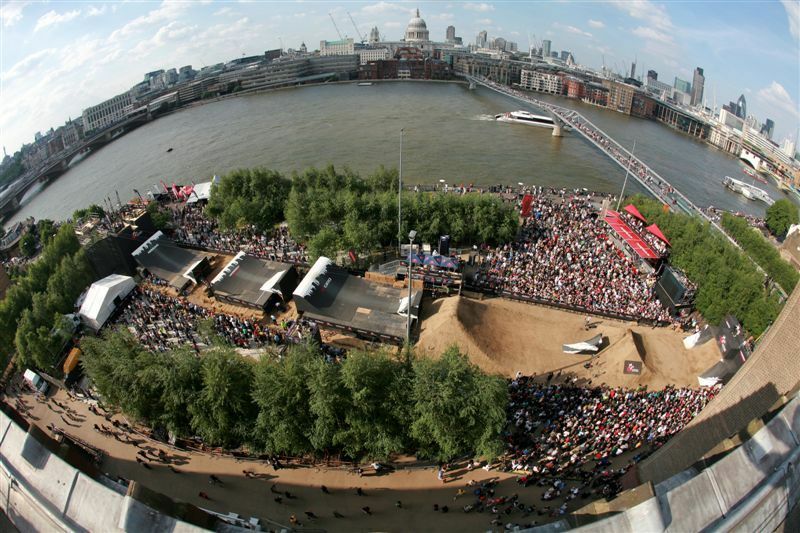 Two of the top three riders going into London, Martin Soederstrom and Brendan Semenuk failed to qualify for the final. This left the door open for some of the riders who didn’t place as well in Munich, and had an impact on the overall results. In the finals young Sam Pilgrim chalked the highest score of the day and lit the place up with a very confident set up to a tailwhip, huge 360, back flip one-footed x-up, finishing with the biggest flair of the day from the left quarter to the dirt landing. Benny Korthaus moved into second with an x-up, to one-handed 360 tabletop, backflip, clean 360 tailwhip, and downside foot plant on the battle ship sub box. Lance McDermott put himself into the top three and overall winner with an E.T. to tuck no hander, back flip into a front flip finishing with a clean flair on the right quarter pipe. Phil Sundbaum had two clean 360 tailwhips in two runs and Paul Basagoitia rode very well for 5th on the day.